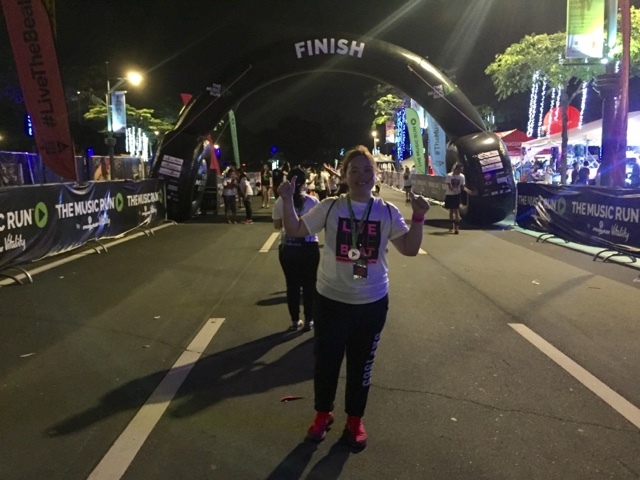 Last December 3, 2016 at McKinley Park West, Taguig City, I was one of the 10,000 runners who "partied" and of course, "ran" (yes, I ran! 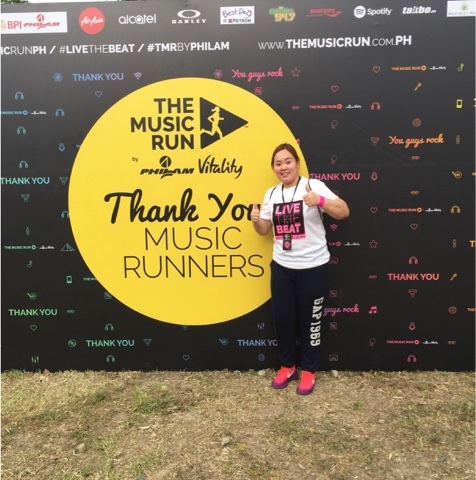 haha) to the infectious & energetic blend of music at the 2nd Edition The Music Run by Philam Vitality. 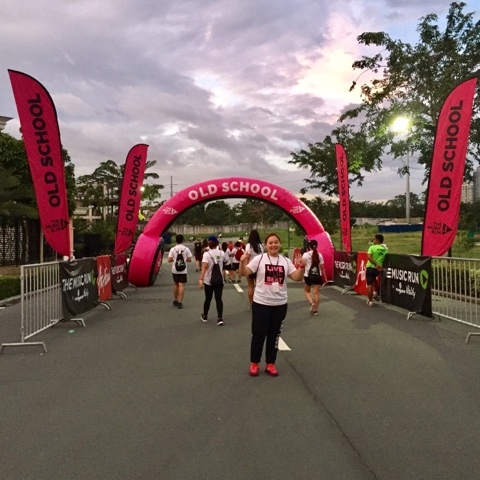 This run, hailed in other countries as the Ultimate 5k Running and Music Festival, happened in Manila - bigger & bolder than ever after its' smash-hit debut at the Philippine Arena last year. For next year, the phenomenal and award-winning futuristic run announced its tour dates in India, Europe and South Africa. The run offers a unique total music immersion experience and has been making waves all over the world. "How We Play" and "Sila" was played by a local alternative band called Sud to start the pre-party which of course set the high note for the party-goers. A pre-run warm up was facilitated by Gold's Gym too. It won't be The Music Run by Philam Vitality without music, right? The runners coursed through five 1 KM Music zones - rock, pop, old school, hip-hop and dance. The route was lined with 120 concert-quality speakers pumping 150,000 watts of music the entire waty. This has got to be the world's loudest 5k fun run! Spotify partnered with the run so participants can vote for the run soundtrack. Imagine my delight when some of the music I danced to when I was younger were played. It inspired me to slay the race track. No kidding! During the entire course, music runners were treated to a special interactive activities: from cool, cold pyrotechnics in the Philam Asset Management Inc Rock Zone; a tunnel with hanging balls at the BPI - Philam Pop Zone; a stage featuring AirAsia crew lip syncing to the top-voted songs with an electric Superbowl performance in the AirAsia Old School Zone with a chance to win exclusive flights and prizes; photo opportunities with graffiti artists, dancers and photo walls in the Hip Hope Zone; to a mobile disco tunnel with glowing lights in the Philam Vitality Dance Zone. 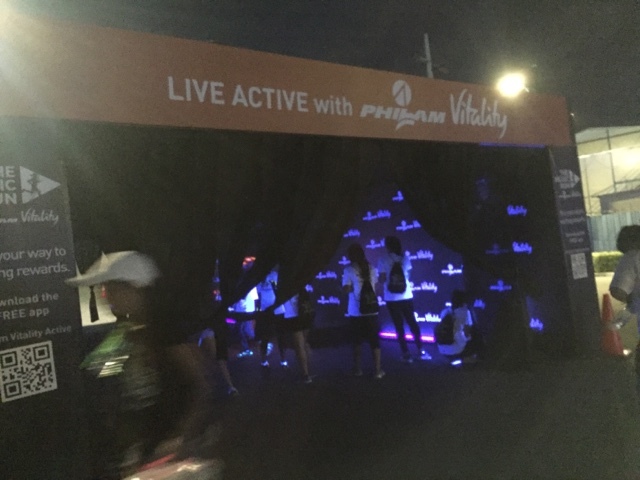 Philam Life who also recently launched the Philam Vitality Active App, hosted a series of engaging running, swimming, and cycling challenges at their booth. 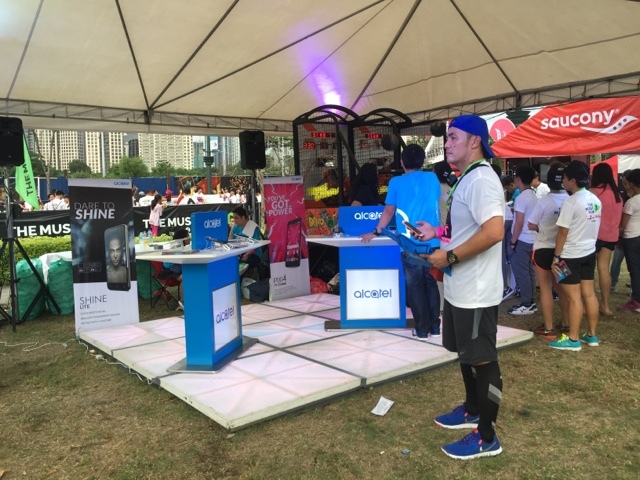 Music runners who downloaded the app won exciting prizes like fitness devices and gym memberships. 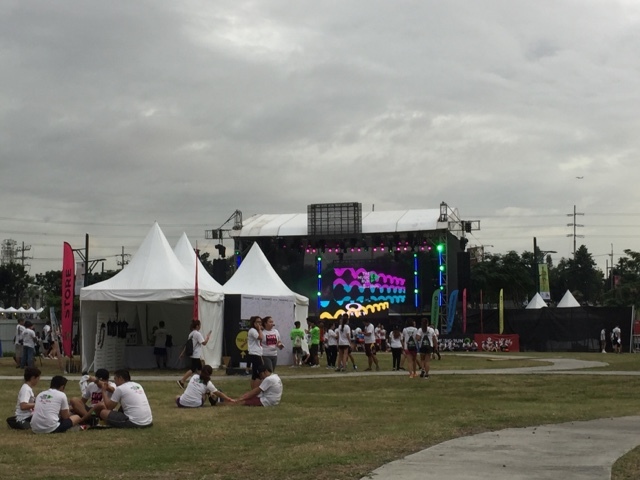 "Through The Music Run, Philam Life offers Filipinos a chance to stay fit while having fun. 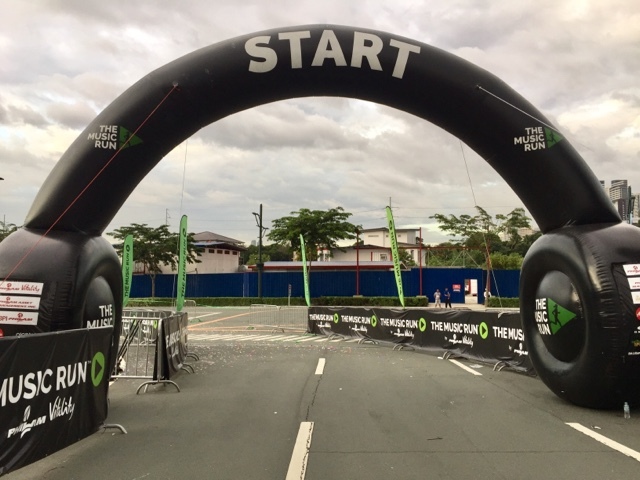 Last year was a really big success and we were inspired to bring it closer to more runners this year," said Philam Vitality Deputy Head Kats Cajucom. 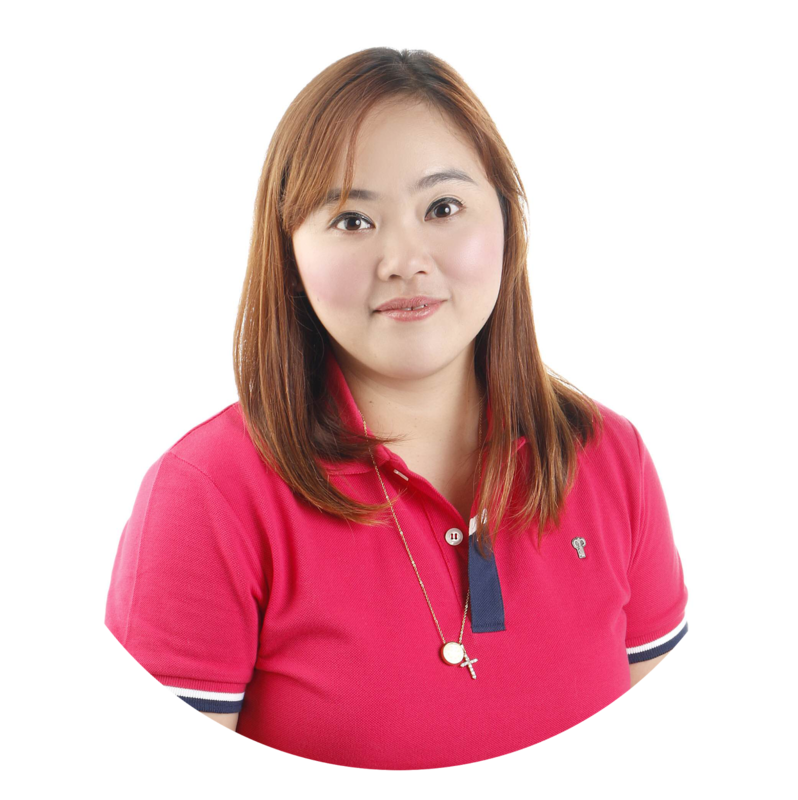 "This was made possible with the Philam Vitality program, a first of its kind, full-scale wellness program where members get rewarded for making healthy choices. Through Philam Vitality we are taking active steps to positively transform the lives of Filipinos by helping them to live longer, healthier and better lives," she added. 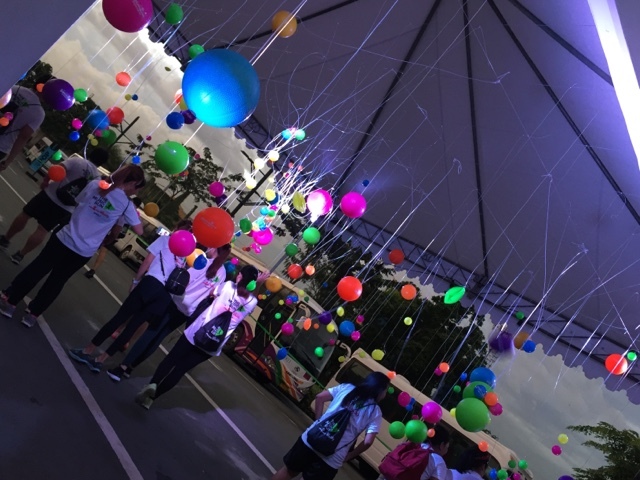 One of the sponsors, Petron, hosted five fun and challenging activity stations, which included a 10ft high rock-climbing station, a nine feet high "Bungee Fun" jump, a VJ Booth, a "Blaze 100" Velcro jump wall" and also PS4 Dance games for participants for all Music Runners to enjoy. hour. Alcatel Shine Light smartphones featuring remarkable camera qualities were also won by Music Runners who dressed up in the theme "Dare To Shine" as well as a Music Runner who struck the Best Pose at their photo booth. Saucony and Oakley also showcased their latest products and provided runners a chance to win exclusive prizes at their booths too. An ultimate music festival kept the energy pumping high with dancers, laser lights, chill out zones, and fireworks. Australian DJ Sam Withers, who was a big hit in last year's after-run concert, wowed audiences once more with a stunning performance. "The Music Run is not just another fun run. It also aims to bring our running experiences to new heights of excitement. 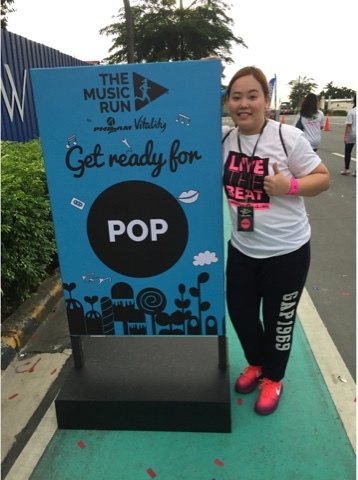 The Music Run first made waves in asia and now it is sending waves of good vibes in cities around the globe," said Martin Capstick, Chief Executive Officer and Co-Founder of Exceed Sports and Entertainment, event promoter of The Music Run in multiple cities in Asia. 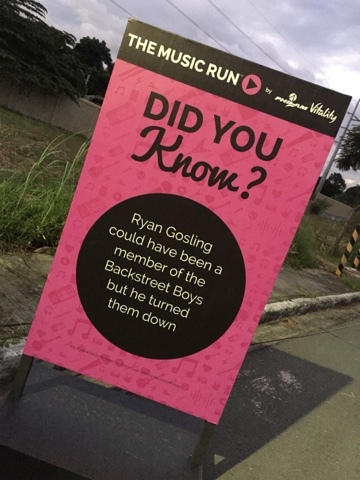 Music Trivias were also all over the run route. "We are really glad to experience the Filipino energy once again. 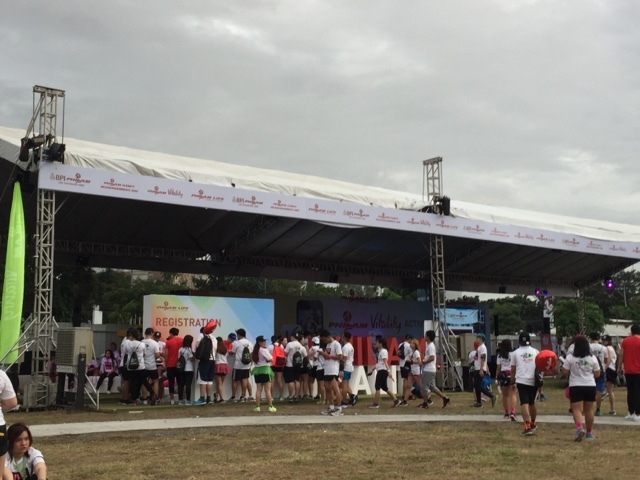 We hope that even after this run, more Filipinos would become inspired to take up healthier ways to have fun," he added. Your Rolled Into One Mom had loads of fun at The Music Run too! I was able to finish the 5KM track without an ounce of tiredness because the party atmosphere brought my spirit to high levels! The Music Run Manila is presented by Philam Vitality, and sponsored by BPI- Philam, Philam Asset Management Inc., AirAsia, Oakley, Alcatel, Petron, Saucony, McKinley West, Mellow Radio, Manila Water and Takbo.ph.